Although it was then blocked by a tree, its alignment with the driveway suggests the little building might once have been a garage. But its entrance seems too narrow for a car. 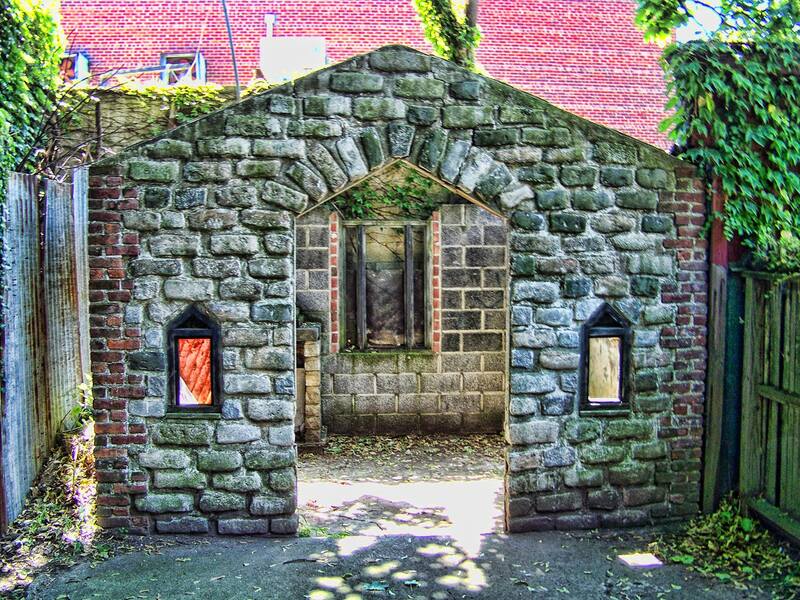 And why would a garage have a Gothic-arched doorway with similar, flanking windows? (See the closeup below.) Like other sites in Gravesend, legend surrounds this one, fed, no doubt, by the pull of that sinister black portal. A friend who grew up a few houses down doesn’t recall the place ever in use. She was too scared to go near it, and in her 29 years there, worked up the nerve to look inside just once, when she saw what looked like an altar. Turns out it was an altar, but not one for human sacrifice. 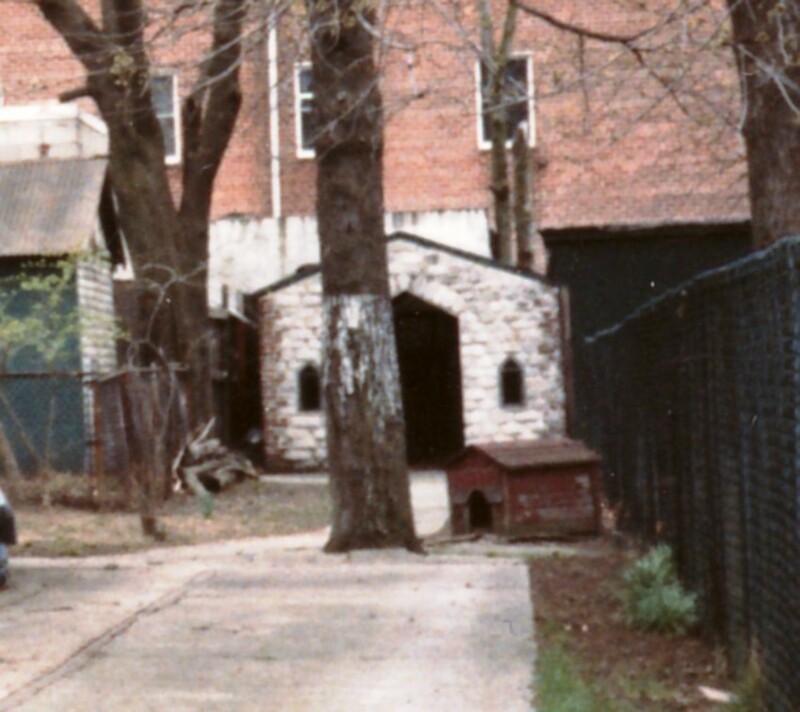 Around 1943 an enterprising young Lutheran divinity student named William George Luger (born 1927), who lived with his family at 30 Village Road North, decided to build a devotional chapel. 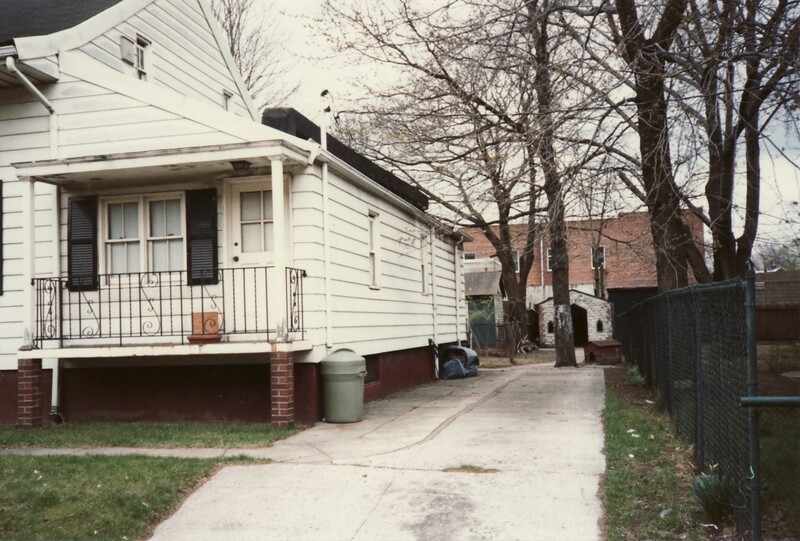 The Lugers owned the three houses at 28, 30, and 32 Village Road North, so it is a mystery why William chose a spot behind number 38 on which to build. Presumably he did so with the owner’s permission. On a plot 12′ x 12′ he constructed a building of discarded brick and cobblestone scrounged up from vacant lots in the neighborhood. He furnished it with benches and imitation stained glass windows, and even managed to squeeze in an organ (probably a reed organ). 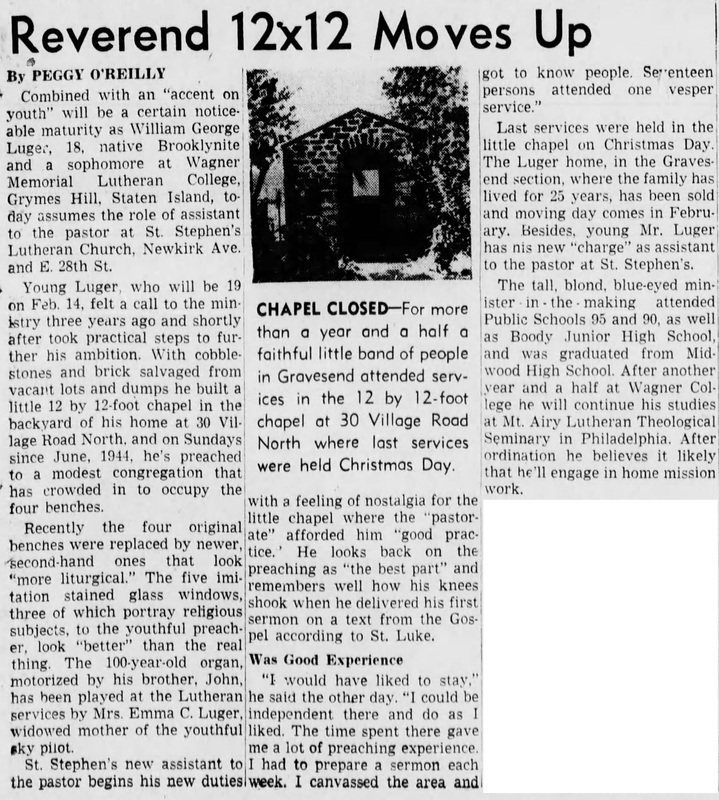 Between June 1944 and Christmas 1945, the incipient Reverend Luger preached on Sundays to a congregation as large as 17 members in his tiny chapel. 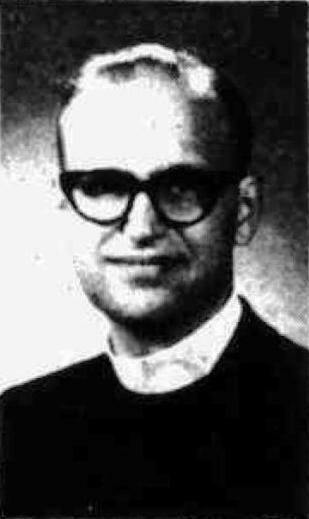 Luger was appointed assistant to the pastor of St. Stephen’s Lutheran Church on Newkirk Avenue on 6 January 1946, a month before his family moved from Village Road North. The Brooklyn Eagle mourned the abandonment of his endearing and short-lived house of worship (see below). Brooklyn Eagle, Sunday 6 January 1946, section 2, page 23. “Reverend 12 x 12 ” went on to a distinguished career at multiple churches in the United States. His little chapel on Village Road North still stands, now roofless and empty. The organ is gone, its music only an echo. And the congregation, only a memory. The chapel behind 38 Village Road North as it looked on Sunday 25 August 2013. Photograph by Lisanne Anderson.